Christmas is fast approaching and it’s time to stock up on those fancy treats before they are all gone. If you are looking for something a little different this Christmas then perhaps try American Soda. 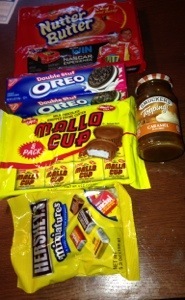 They sell and ship lots of American goodies which are very hard to find in the UK. I have found that the American products are much better than ours both in quality and size and at American Soda they are also very affordable. American Soda have a extensive range of different products which you can buy from the comfort of your home and have them delivered with a quick and courteous service. Their many products include chocolates, confectionery, biscuits, sauces, snacks, drinks, baking products, seasonal treats and even a selection of non food items. This is the latest selection of products which I was able to choose and kindly sent. They come in packs of either two or eight and in a slight way have some similarity to the chocolate tea cakes. 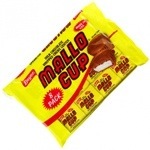 They are thick chocolate cups with creamy marshmallow inside. Each one individually wrapped. Great with a cup of tea. 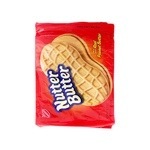 Nutter Butter Cookies again these also come in different pack sizes. 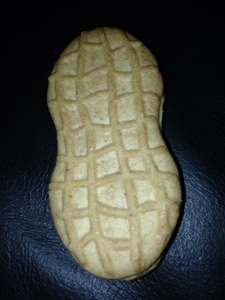 They are shaped like big peanuts and contain delicious scrummy peanut butter. Absolutely delicious. Hershey’s is a well known brand of chocolate in the USA. 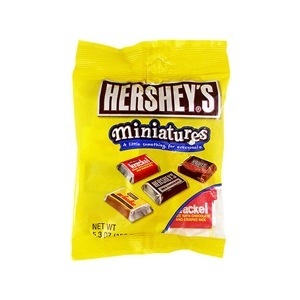 This bag contains scrumptious miniatures with a different bite every time. Oreo Double Stuff Cookies. Oreo is also a famous American favourite.
. The Oreos come in different flavours and pack varieties. 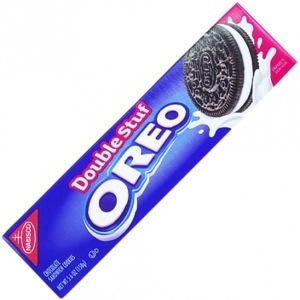 These double stuff Oreos have double cream filling inside making them extra sweet and creamy.
. This sauce is just heavenly and lip smacking delicious. It has a fair few uses too. 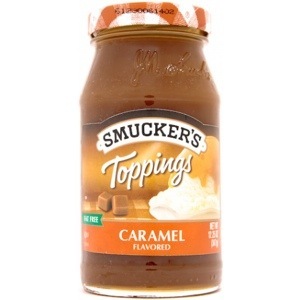 It can be poured over ice cream or cakes or any other dessert or even used in baking/making etc. Also nice with toast, crackers, meringue or anything you like really. It’s sweet and rich and once you start eating this stuff it’s hard to put it down. I’m loving my American goodies as are my children. They make a nice alternative to the normal treats I buy. American Soda also have a range of hampers containing a hand picked selection of their goods and placed into themed hampers which are perfect as gifts. Ohh wow!! They sell Mug Root Beer!!! YUM! !